PGAdesign employee Katrina Majewski is serving as the ASLA Northern California Chapter President for the 2018 term. Katrina is a landscape architect with a strong interest in advocating for the environment and connecting people to place. She is struck by how Landscape Architects work together to build the profession. 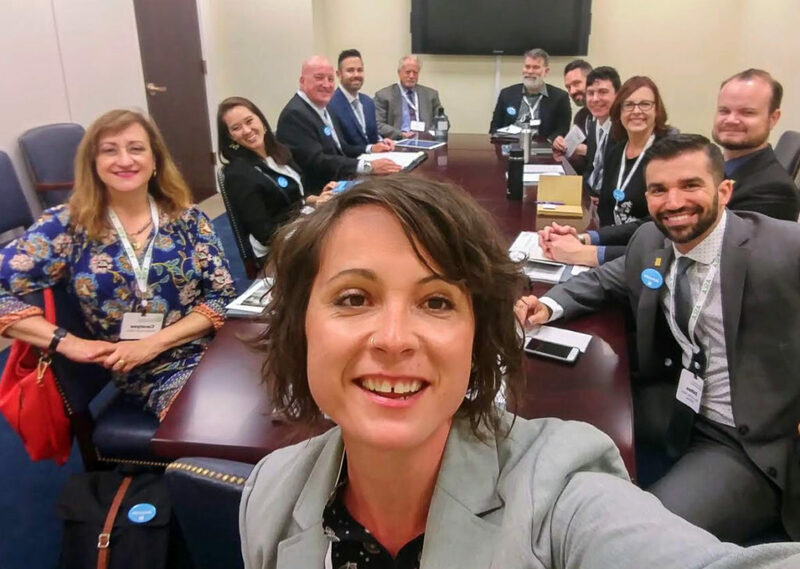 She traveled with all of the chapters in the ASLA to Washington DC for Advocacy Day to advocate for three bills: Living Shoreline Act, The Water Infrastructure Act, and the Environmental Justice Act. As part of this meeting, she met with Senator’s Harris and Feinstein. Her goal for the term is to MAKE ASLA FUN AGAIN! Her recent events include walking tours, social events to foster connections between LA’s as well as lectures on bringing disc golf to communities.